How does the layering of boundaries effect our sense of spaciousness? As human beings, we have a keenly developed sense of enclosure. 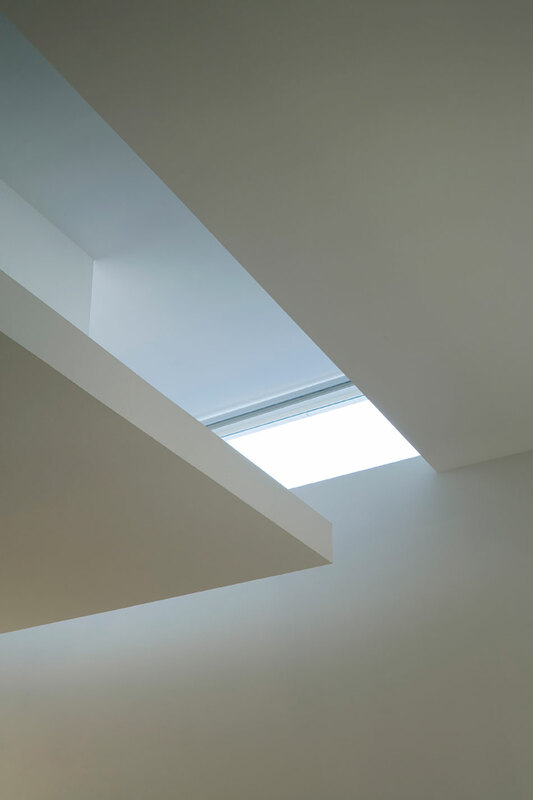 There is now a wealth of evidence to confirm that our judgment of spaciousness is not based solely on the physical dimensions of a particular setting—light, materiality, colour and shape have all been shown to play a part. 1 But what do we know about the effects created by the layering of multiple boundaries? Fig.01 Plan diagram of the virtual setting for A.E. 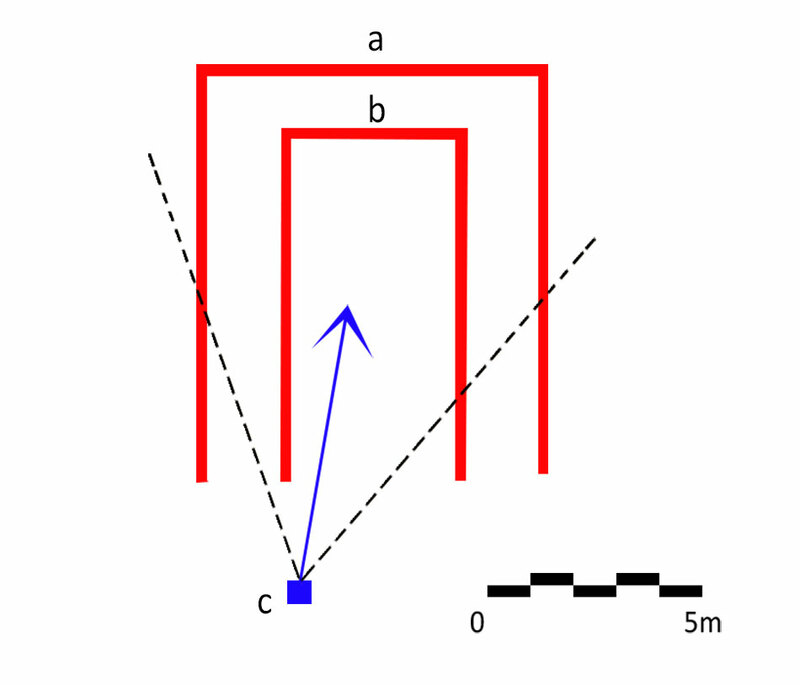 Stamps' experiments, where a is the distant boundary, b is the proximate boundary and c is the position of the camera. In this article we review the work of Dr Arthur E. Stamps 2, who argues that judgments of enclosure and spaciousness are actually proxies for judgments of potential safety or danger. For example, being enclosed with respect to vision implies that enemies could be close but not visible. That would be dangerous, so spaces surrounded by regions not permeable by vision should be judged as more enclosed than spaces more open to vision. He refers to this as the Theory of Permeability where increased visibility means less danger and, because perceived enclosure is a proxy for danger, theoretically, the more permeable a boundary, the less enclosed a space should seem. Stamps’ article (2012) reports new findings—based on 4 experiments, 56 environmental scenes, and 71 participants—on how the physical nature of layered boundaries can influence our perceived spaciousness or enclosure. 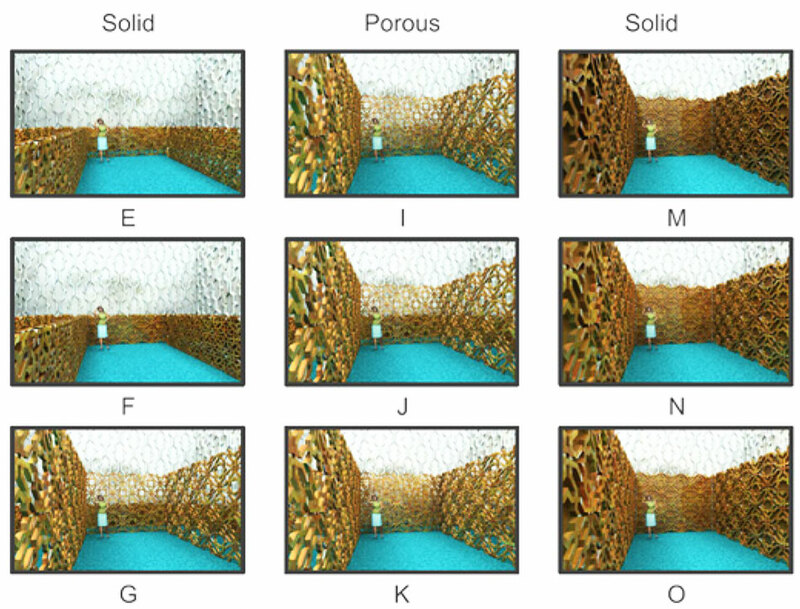 In one experiment, participants were shown a series of 3D static images, based on the diagram shown in fig.01, where the height and porosity of two boundaries were changed incrementally. Predictably, Stamps' experiment confirmed that changes to the height of proximate (nearby) boundaries had a stronger impact on a sense of enclosure than did changes to the height of distant boundaries. The higher the proximate boundary, the greater the sense of enclosure. Also, when proximate boundaries became more porous, allowing views through to the distant boundaries, there was a subsequent, and again, predictable increase in the participant’s sense of spaciousness. However, the most interesting finding is that as the nearby boundary becomes porous, not only does the perceived sense of spaciousness increase, but changes to the height and solidity of distant boundaries had little effect on that perception. These findings suggest that an ability to perceive the layering of space through multiple surfaces can increase our sense of spaciousness—without increasing the actual size of a space. 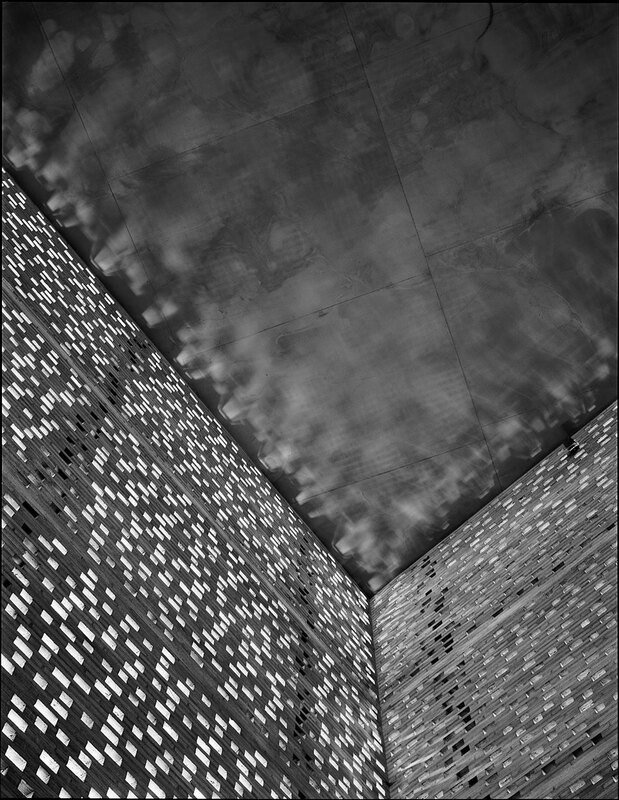 Spatial boundaries are relocated, and our perception of enclosure expands beyond the dimensions of the physical place that we occupy. Perhaps even a glimpse is enough. Stamps' experiments were carried out using static images in laboratory conditions and, although these are accepted methods, they have limitations. Laboratory conditions provoke two primary contaminating factors: first, the artificiality of the simulation creates self-consciousness and, second, the harder we try to convince the participants of the reality of the situation, the more artificial it will appear. Also, in this case, perception testing was limited to the visual sense alone, ignoring the impact of other senses on our perception of physical space. We have some concerns about the poor quality of the visual representations used in the experiment, fig.02, a factor which could have had an impact on the results. For a simulation to be truly effective, it should take the form of an accepted artifice—in other words, its artificiality must be part of everyday life. Nevertheless, this research provides us with some intriguing preliminary data that is worth pursuing further, perhaps using more sophisticated digital models, realistically rendered, in an immersive virtual environment. Stamps concludes that these results support his permeability theory, suggesting that the ability to see beyond the near boundary increases our sense of safety and therefore reduces our levels of anxiety. 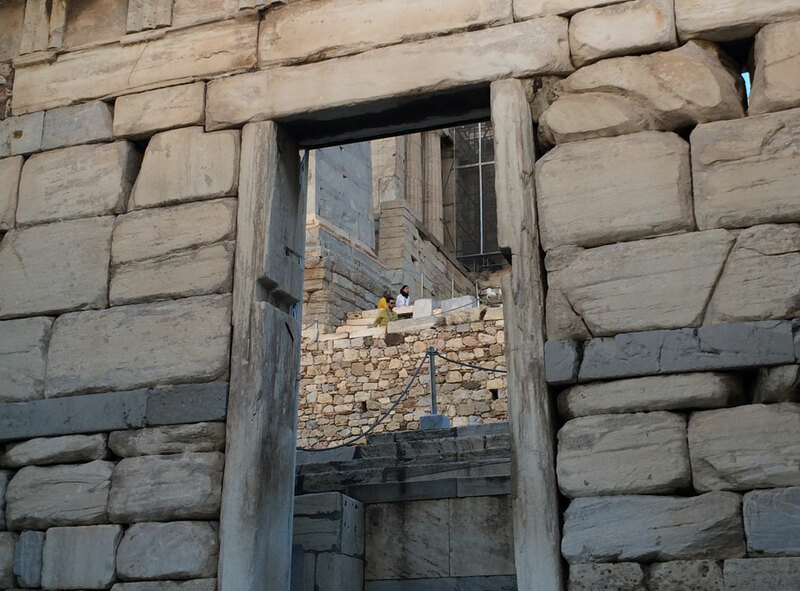 It may also be argued that our ability to perceive spatial layers stimulates our sense of curiosity, as we are attracted elsewhere, beyond the limitations of where we are—but perhaps that too is also connected to the need for safety. Food for thought. According to Ben Meagher and Kerry Marsh (2014) numerous findings reveal a link between impressions of spaciousness and other seemingly incidental properties of the physical environment. For example, impressions of room size are positively associated with greater intensity and wider distribution of both natural and artificial light. Rectangular rooms are judged to be larger than square rooms. The roughness of a surface and the presence of windows have also been positively associated with impressions of greater spaciousness. In the next article, we will review these concepts through Meagher and Marsh’s 2014 paper: Testing an Ecological Account of Spaciousness in Real and Virtual Environments. If you can't wait, then details about where you can find that paper are included below. Herzog, T. R., & Chernick, K. K. (2000). Tranquility and danger in urban and natural settings. Journal of Environmental Psychology, 20, 29-39. Stamps, A. E. (2010b). Use of static and dynamic media to simulate environments: A meta-analysis. Perceptual & Motor Skills, 111, 1-12. Stamps, A. E. (2002, May 22-26). Research on enclosure. Paper presented at EDRA 33, Philadelphia, PA.